Do you make a piquant barbecued chicken? Best get to the Garlic Festival and show your stuff. GILROY GARLIC FESTIVAL: The celebrated food festival, which heats it up over the final weekend in July, has sent out the call for barbecue buffs looking to compete. There's a pro category, and five categories in which the teams shall square off, savory-style. One of the categories indeed involves the superstar clove -- it's called "Anything Goes with Garlic" -- and the only ask is that the chefs incorporate a bulb of garlic. The event is overseen by the venerable Kansas City Barbecue Society, and comes with thousands in cash prizes and trophies. Want to compete as an amateur? 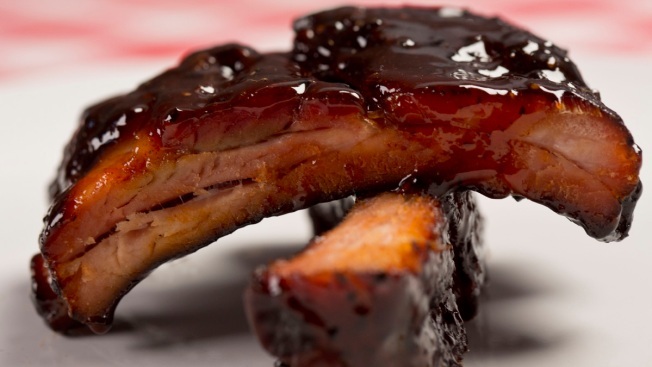 Best look in to joining the Backyard BBQ Rib Throwdown, which takes place on Sunday, July 31. TROPHY TIME: If you snagged such a trophy, for your Super Mondo Garlicky Baby Back Ribs, where would you proudly display it? We have to assume you'll have a shelf built, on the patio, just a few feet from your grill and favorite tongs.